To say that Tiger sent a message to the PGA Tour when he won at Bay Hill would be an understatement. Similar to that commercial where giddy PGA Tour players are hanging out and having fun in a locker room until Tiger arrives, the message was clear when the light bulbs flashed and the winning putt dropped on the 18th hole: I’m back and I am better than ever. Tiger shoots for his 15th career major and fifth Masters title. If there is anyone who thinks he can’t do it, speak now or forever hold your peace. Two-time PGA Tour Winner in 2009 (Northern Trust Open and the WGC CA Championship), Phil’s game is peaking and he might be poised for another green jacket. Despite missing the cut at the Shell Houston Open, Phil’s driving (Top 20 in driving distance thru Arnold Palmer Invitational) coupled with his short game make him a solid favorite. An early candidate for PGA Tour Player of the Year, Ogilvy has won twice this year (Mercedes Benz Championship and WGC Accenture Matchplay Championship) and looks like a prime candidate to win in Augusta. The last time Ogilvy won the WGC Matchplay Championship in 2005, he won the U.S. Open. The Aussie is hoping history repeats itself as he guns for his second major. Perhaps the prettiest swing on tour, two-time major winner Retief Goosen is always a threat to win. His most impressive showing was a win at the Transitions Championship – a course in championship-like conditions (narrow fairways, deep greenside rough and firm, fast greens). In order for Goosen to win in Augusta, he will need to hit more fairways (currently 110th in driving accuracy) and recapture some of the putter magic that helped him win at Southern Hills in 2001 and Shinnecock Hills in 2004. Have you ever played golf with a buddy who seems to only play well when money is on the line? I have a friend who plays exactly to his 15 handicap when we are playing a meaningless round, yet as soon as he knows there is money on the line, he morphs into a ball striking and putting machine. So much so, that I refer to him as “Paddy.” The real Paddy is also non-existent during the year but somehow turns it on when a major is on the line. Shooting for the Paddy Slam, the reigning PGA Tour Player of the Year hasn’t finished inside the top-25 this year, thus is a good bet to win at Augusta. Leads the PGA Tour in Greens in Regulation and averages 293 yards per drive. 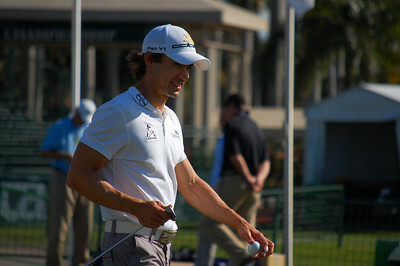 Villegas has finished in the top 10 three times this year including a T3 at the Buick Invitational. This kid is the “Real McIlroy.” Winner of the Dubai Desert Classic, McIlroy has recorded three top-five finishes this year (two on the EPGA Tour) and has been praised by other PGA Tour players for his natural ability. At 19 years old, don’t count out Rory, who won’t be intimidated. Who can ignore the success that KP has had in the so called “twilight” of his career. Perry’s resurgence, which included multiple victories and a Ryder Cup berth last year, continued in the desert where he won the FBR Open. At 48, KP still has some pop with the driver (top 25 in driving distance). Capturing a major at this point in his career would be the ultimate. If you believe in momentum, Casey is a very strong pick to win at Augusta. Coming off a win at the Shell Houston Open, Casey is playing at an extremely high level this season, which started off with a bang when he won the Abu Dhabi Championship. Last year at the Masters, he positioned himself to win with opening rounds of 71-69-69 before a final round 79 that dropped him to a T11 finish. 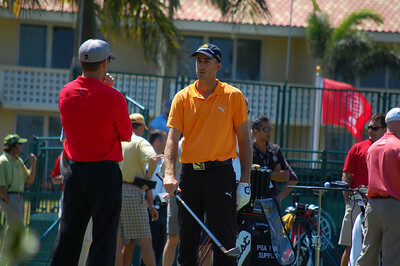 Until he proves me wrong, you won’t see me choose the Spaniard to win a major. 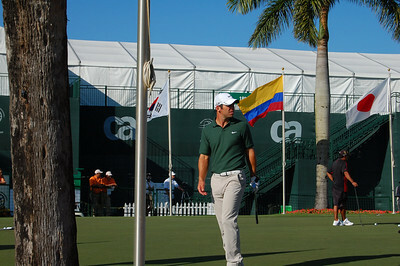 Since a T4 finish at Augusta in 2004, Garcia has missed the cut three out of the last four years. Since last year’s Masters win, Immelman hasn’t even sniffed a PGA Tour win. Other than a busy week of press conferences and appearances Monday-Wednesday, don’t expect to hear much from Trevor when the tournament begins. Missed the cut four out of the last five years at Augusta. Made seven out of eight cuts this year with four top-10 finishes (including a heart-breaking runner up finish to Tiger). T14 finish last year in Augusta. 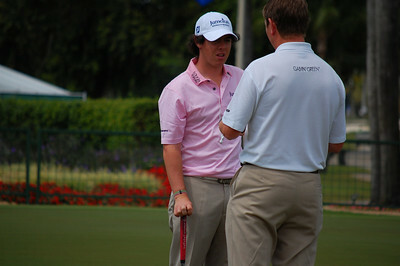 Other than Rory McIlroy, Watney has been one of the more surprising young stars to emerge this year. Winner of the Buick Invitational, Watney has made all eight cuts and has three top 10’s including a runner-up finish at the WGC-CA Championship. 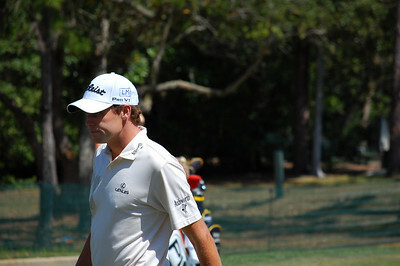 T11 finish in 2008 Masters. Three top-25 finishes including a 4th place finish at WGC-CA Championship. The Hackers Paradise and Taylormade Golf are proud to announce we are running an amazing contest for this event. You can read all about it in our forum. The official rules are listed there and we hope everybody has a great time with this. The top three will receive prizes in this contest. You can read all about these great prizes at Taylormade. Let me know your thoughts and Masters predictions in the comments below. I love the preview Caleb. I would love to see Tiger come out strong again, and I am also looking forward to seeing how Phil does considering his collapse this past week in Texas. Great preview Caleb. My favorite week of the year. really good preivew. Glad these are starting to come out this week. I cannot wait for the tournament. I think some names are missing, but you cannot write about all of them of course. Are you going to make your pick for who the winner will be? Pretty good preview. I do think Rory is getting too much hype for this event though. He might make the cut but I don’t think he will come close to contending on the weekend. Nice preview Caleb, but how can you leave out Freddie? Every time he tees it up at Augusta he is a contender and by the roars of the crown when he is in contention, its obvious he’s the sentimental favorite. Although this year, Norman may have something to say about that. Good work! I agree with the comment above, Freddy could be considered a dark horse if not a contender at this point. His high finish at the Shell Houston should cement his place as a guy who might surprise at Augusta this week. Love the idea of the Masters contest, thanks THP and TaylorMade!!! This was exactly what I wanted to hear. By only having certain guys up there, it promotes good debates. I like it. Zach has been in good form this year and always under the radar. Way too much hype over the Shark. He has already choked on the back nine at Huston, miles away from Magnolia Drive. 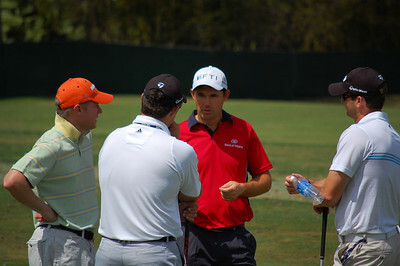 Nick Watney playing super too.Keep a good eye on Danny Lee as well. Hi This is a wonderful site and I found the post interesting,this will improve my results especially when im competing,I will check back for tips. Should you ever find some newfound lures be sure to post,in the past I have always had trust on abu garcia reels but there are numerous choices and it can be confusing,long as they keep making prime reels they will be in my boat.